The Clear Crystal Arch Award is smartly set into a Piano Wood Finished Rosewood base. Sophisticated style appeals to all seeking a dazzling, yet refined, means of recognition. 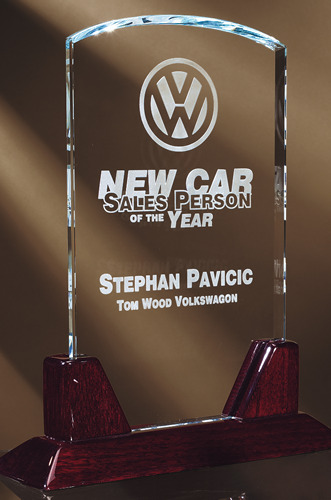 Etched personalization states the stellar accomplishments to be recognized.